It's been a while since I did one of these. 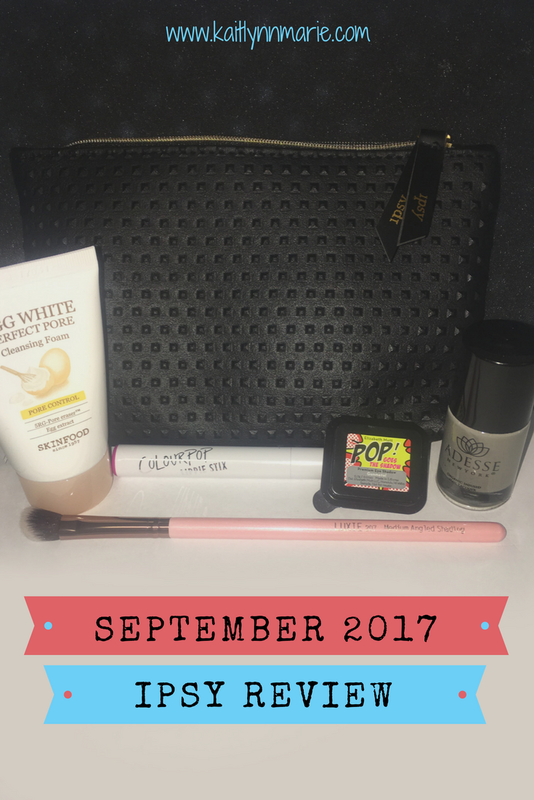 I haven't been in love with Ipsy lately, but this month was a surprise hit. The weirdest part is that when I checked before getting the bag, I had entirely different items! I was not mad to be completely surprised with what was in the bag though because I was not excited to get the items I had seen prior to the bag arriving. 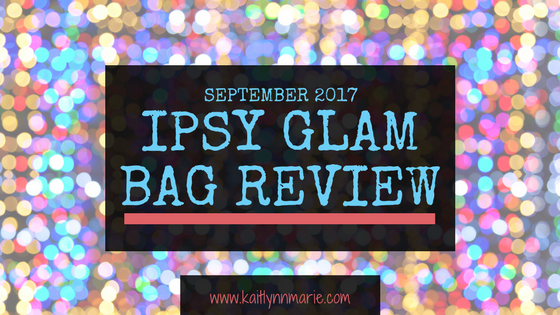 This isn't my first review of Ipsy, or of beauty boxes in general, so this should be familiar. 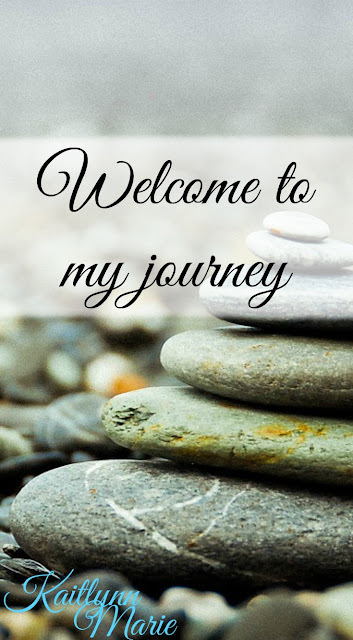 At the end I'll have my affiliate link to sign up if you haven't already. I don't think I've ever actually said this, but I just grab my Ipsy bag and reach in, whatever item comes out is the item I type. Adesse New York Organic Infused Gel Effect Nail Lacquer in Deception - $18 - FULL SIZE! I love Adesse nail polish! It's a gel effect, which means it doesn't chip off very easily. This color is a fave of mine, it's a light gray. It goes on quickly and always looks great. I'm at work, and I'm awful at painting my nails, so I'm not putting it on right away, but the link above shows what it looks like. This brand is also Vegan/Cruelty Free which is awesome! Colourpop Lippie Stix in Glam Bag - $6 - FULL SIZE! I thought this was an Ipsy exclusive, but I found it on their website so maybe not. When I saw the color I was not too excited, but it's growing on me. It's a fairly bright pink. My sister says it's something she expects an 80 year old grandma to wear, but I really don't hate it. I like the formula, though sometimes it can be a bit drying. Overall, it's not a bad item and Colourpop is always welcome. Most of Colourpop's items are vegan, and this item happens to be one of them. The full list of non-vegan items is in their FAQ. Luxie Rose Gold Medium Angled Shading Eye Brush 207 - $12 - FULL SIZE! I love Luxie brushes! They're so soft, and the Rose Gold line is gorgeous! I also just found out they're vegan/cruelty free! Brushes are great, and Luxie brushes are even better! 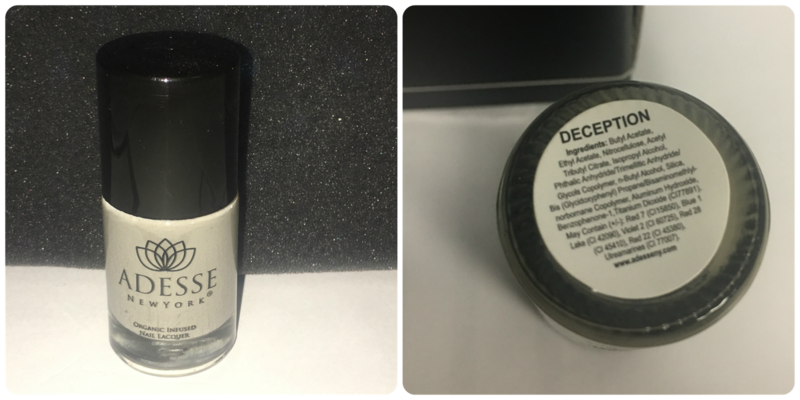 This is a 1 oz sample of a cleanser that is normally 5 oz and retails for $11. It's a Korean beauty cleansing "foam" that didn't foam up when I used it. It cleaned most of the swatches I had on my hand though, so I'm not mad at it. I'm thinking it might foam up more if I add more water, or if I use it with a brush instead of my hand. It smells good, had an inner seal, and isn't a tiny sample. This is a great color! It's a tiny little sample, but for eyeshadow that's not the worst. I was a little surprised by the retail of the full size, because Elizabeth Mott seems like a pretty nice brand. But $13 for a 2g eyeshadow seems pretty average I guess. It swatched okay, but I'm not great at that. I just know I like the color and the pigment was there. Overall I was impressed this month. I got 3 full size items out of the 5 and the two sample sizes were still good enough to get a feel for the product. I think my favorite is going to be the Luxie brush, that's going to get the most use. The total value of this months box is: $42.72. Not bad for a $10 bag! And that isn't including the value of the makeup bag, which is always handy! Do you have Ipsy? Are you interested in getting it? Click here to join! I've never tried Ipsy, but I've always wanted to. I've read that many of the products are full-size, which is great! Even the sample sized of makeup products last awhile. I'll be completely honest, I don't get Ipsy anymore. I started getting BoxyCharm and fell in love. I don't use enough makeup for all the subscriptions I had and BoxyCharm is full or deluxe sized samples every single month. If you've never tried a subscription box though, any of the $10-$15 boxes are a great starting point! I had Ipsy for about two years and only stopped getting it because I just wasn't using all the stuff I was getting.